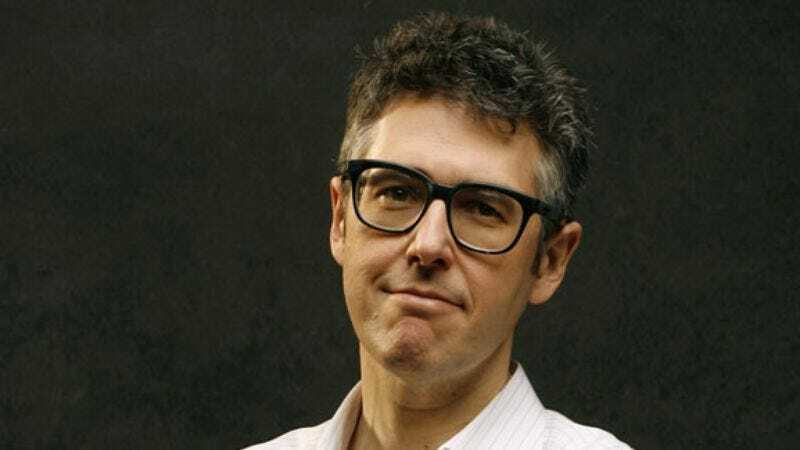 A lot has changed for This American Life host Ira Glass in the last few years. After receiving an offer to turn his Public Radio International show into a television series, he and his staff moved from Chicago to New York to try out the new medium while still producing the immensely popular weekly nonfiction radio program that made David Sedaris and Sarah Vowell household names. In 2007, the television series premièred on Showtime, garnering five Emmy nominations in 2008. Season two is now available on DVD, with a limited-edition commemorative DVD coming out in April containing both seasons and extensive liner notes from Glass and the show's staff. Since his last A.V. Club interview, back in 2003, Glass also edited the 2007 anthology The New Kings Of Nonfiction, simulcast a live version of the radio/TV show via satellite around the country, and in the light of the financial crisis, occasionally steered the radio show toward harder news, in an attempt to make sense of the economic meltdown. The A.V. Club recently spoke with Glass about what he learned between the two seasons of the TV version of This American Life, the physical transformation that took place when he become a face for TV as well as radio, and the difficulty of getting public-radio fans to embrace television. The A.V. Club: One of the most visible differences between the first and second seasons of This American Life on Showtime was that you switched from narrating behind the desk to a handheld camera. How did that come about? Ira Glass: I was worried that the desk would start to feel kitschy. And there's something very formal about the desk setup. I mean, intentionally so, but there's a friendliness that I was able to have on the radio, just talking one-on-one to the audience, that I wanted to restore to the show, so it was an attempt to do that. And actually, we shot these four different ways and spent tens of thousands of dollars, including all of us flying to California and shooting on a hilltop. And then there was another one where we went into a studio with landscapes projected behind me, and the idea was that it was lit very darkly so it'd have that kind of intimacy, and with the landscape, it would sort of call back to what we'd been doing in the first season. But we decided not to do that. And then we did one that was sort of conceptual, where you would see a blurry frame, and as I'm delivering my script or explaining what the story will be, I walk into focus out of the blur and hit a spot and finish saying what I'm saying, and then that's that. And that seemed sort of formal. And then we shot this, and it was everybody's first choice except for our cinematographers, who preferred the blurry thing just because the blurry thing was so beautiful. AVC: What kind of camera did you end up using? IG: We just went to the Best Buy and used like the little $149-dollar flip-camera. AVC: How did you decide where to shoot all those? IR: We went looking for places where we could get quickly to shoot them all in a day, where they would look different from each other. And we wanted places where there would be some sort of natural motion. So we have the one on the, I don't even know what it's called, but the thing that hangs on a wire and goes overhead between Manhattan and Queens, that generally I've only ever seen in action films [Laughs.] What is it? IG: The gondola! Yeah, the gondola that commuters use. AVC: I didn't know that even existed. IG: I didn't either. I didn't know it was a real thing. And then we got on it. And truthfully, like the only time I've ever even seen one is either in a James Bond film or Spider-Man, where naturally a terrorist shoots out the wire and everybody goes plummeting to earth. I didn't realize there was a commuter use for that technology that didn't involve rescue squads. So we did one there, one on an escalator, we tried to go to places where there would be motion, mostly. But then we did one in the woods, cutting from a story in the woods. AVC: You got someone famous to narrate for one of your subjects in one episode. How did that come about? IG: Well we knew—basically we were doing a story about someone who can't talk, but would type his answers on a computer, and so we knew that on the air, we would want someone to read what Mike [Phillips] was saying, and at one point in the interview, we asked him, "Who would you like us to get? What do you have in mind?" and he names two movie stars. And honestly, at that time in the interview, I didn't think we would try to get a movie star. And then when it came time to put it together, we thought "Oh, let's try it!" and we tried for the lesser known of the two stars, and just got turned down cold. The other person was such an insanely big megastar, we thought we'd have no chance. [Whom we can't name but whose voice will be immediately obvious to anyone watching the show. —ed.] We were about three weeks away from having to have the whole thing finished and ready to go on TV, and the president of the network, Bob Greenblatt, said, "Hey, have you tried this other star?" We thought, "No, because what chance would we have?" Bob said "No, no try him, try him." So basically, I sent an e-mail to his sister, who is his manager, and his sister forwarded it to him, and we got a response five minutes later, saying yes. AVC: Did you have anything to do with the recording session? Or did his team just drop it in your lap? IG: They dropped it in our lap. It just seemed like we would listen in on the recording session and say, you know, like, 'Do that one again,' or whatever. But no. His schedule was super-busy, and apparently he has a recording studio in his house, so he got an engineer and recorded it and it sounded good, you know, so we took it. Though truthfully, you know, up until the point where he got his voice tracks, we had somebody else do the voice tracks so we could edit the story. The person we got was our production manager, Seth Lind, who is in an improv comedy group, and is a decent performer, and he did a really nice job. Truthfully, at the point when we got the international superstar's version, we were all really used to Seth. And Seth is Mike's same age, and we thought "God, he sounds really perfect," whereas the international superstar is older. Truthfully, there were a couple of days where it wasn't really clear which of the two we should use, our production manager or one of the most famous people in the world. AVC: You wrote in the commemorative DVD edition notes that Showtime set up this intense schedule for shooting season two. What was so crazy about it? IG: What was crazy about it was that they gave us so much extra time. Our experience in season one was that it was fun to do, but it was really hard to do the radio show and the TV show at the same time. We ended up doing tons of re-runs on the radio show just so we would have time to finish the TV episodes, and when the network asked us to do a second season, we asked if we could restructure it so it would work a little better, so we wouldn't get so burned out. They were game, and so we stretched out the production over the course of a full year, instead of doing it in seven or eight months. Then they also gave us the money to hire on an extra producer to help us do the radio show, which helped. Really, I have to say, they were easy to work with. That whole change in schedule doesn't sound that big, but it cost them over half a million dollars overall, just because stretching out the schedule means keeping on a lot of people for way more months. And they were game. They were like, "Okay, you know, let's make it work." AVC: Director Chris Wilcha has a piece in the notes called "The long dark period of sucking." What he's talking about there? IG: Our cinematographer, director, and I each wrote essays for the commemorative edition, and Chris talked about the months and months when you're making something and it doesn't seem like the thing is going to come together, and it's terrible, and things get a little testy, and you really don't know if it's going to work at all. In a no-joke way, you don't know if it's going to work. I think he sensed that more acutely than anyone else, because he felt like since the radio show was so established and popular, if the TV show was bad, we wouldn't take the blame, he would. He's definitely the captain of the ship of this otherwise-successful thing. I think he felt a tremendous burden not to screw it up. We all felt a tremendous burden too, we wanted to do a nice show, but it just wasn't the same. AVC: From listening to you talk about the new TV show to your radio audience, it seemed like you were more worried about how they would feel about it than how your new television audience would. IG: Well, it's true. I felt like "If this doesn't work on television, we all have a day job that's going great." Really, when we got into TV, it really was kind of a lark. The network came to us and said "Do you want to do this?" and it seemed like it would be fun to try it, and then when they picked us up for the first season, it turned out to be such an interesting thing to do. So my attitude really was, "You know, if this works out, that's great, and if not, that's fine too." We just didn't want to embarrass ourselves. AVC: You wrote about the rules of television and how it's better if the venture being documented didn't happen a long time ago. IG: Yeah, that's something we really learned by trial and error. There were certain stories in the first season where we came to that realization. We wanted to invent a form on TV that would be flexible enough to tell stories that happened in the past, which is a lot of what the radio show is, people coming on and telling stories that happened in the past, and that we would invent things using graphics and Flash animation, and just figure out ways to tell stories so that the story could happen in the past. But really, it just didn't pan out. It's funny, it started to dawn on us when were filming the pilot. There's a story that we were going to film that we thought happened entirely in the past, and there was this guy who loved this bull, and this bull died, and he creates a clone bull, and the clone bull, as in a Stephen King novel, tried to kill him. We went to talk to him, because the bull had tried to kill him a year or two before, and we really thought, "We'll go out to tell the story, and we'll shoot the bull, and we'll shoot the farm, get some archival footage, and we'll put together a thing, pretty straightforward." When we were there, the bull tried to kill him again. Looking at the footage, it was clear that at the point where the bull tried to kill him again, while we were there, it was suddenly a real TV story. Stuff is happening. You're rushing to the hospital, and you see him in the hospital, and suddenly the story takes place in present tense in this way where it was much, much more dynamic and interesting and engaging. I feel like we did the stuff that happened in the past as artfully as could be done, and got great interviews and had great footage to go with it, but it just does not compare to having the thing unfold in front of the camera. AVC: Did you feel any sense of regret about that, or was it a relief to say, "Okay, this is how we have to do it"? IR: No, I never got over my sense of regret. Just because a whole range of stories opens up to you if the story can happen in the past. It opens up a lot of narrative that will be fun to tell. And I think that there are always ways to invent it, but they tend to be more labor-intensive than you can do in a regular TV series. Like that film The Kid Stays In The Picture, where it's just incredibly inventive the way they're moving the images around and using the images. But to do that on the kind of schedule and the kind of budget that we have is just hard. AVC: In the notes, you talk about the shows that didn't happen for various reasons. Are there any in particular that still get you? IR: There's one in particular, and it was in the first season, actually, and it was these Iraq war vets. The story was gonna happen at this one party that they were throwing, coming back to the States, and these guys were into it, and they were wonderful, and we really wanted to do the story with them. Basically the club where they were having their party wouldn't sign a release form for us to film them. We kept saying to them, "Dude, these are war heroes. They want to be on television. They just risked their lives for you. Let 'em be on TV," and the guy wouldn't do it. We were trying to figure out why, and we were told that actually it's often really hard to film inside a restaurant or club, because some of the help is illegal. That definitely wouldn't have been a problem if it were just a radio story. AVC: What's the difference between how you guys get the TV stories and how you find the radio stories? IR: It's not that different how we find them; what's different is the number of criteria that they have to pass to work as TV. On the radio, you need a daunting set of criteria, at least for the format of our show. You need there to be characters and scenes and something at stake, and things have to happen, but on the radio, all of that could've already happened. So you know, when you start your interviews, kind of exactly what happened, and you're just getting people to tell you the story. On the TV, you need all of that, you need something to happen, a drama, and people you can relate to, but in addition, it can't quite have happened yet. So you have to kind of predict, like, "I guess something probably will happen here." Also, it's better if you can have something to look at—racecar drivers, or professional horsemen or something. AVC: So in season one, a few radio shows were shot for television. Is that probably not going to happen anymore? IR: Oh, we just did that for the pilot. I mean, there was one other story that we did just kind of as an experiment. But the reason we did that in the pilot was, we thought "We've got these great stories, we're making them into this TV pilot, the TV show will never go on the air," which is what we believed, "and so let's just put them on the radio too." But that was just for the pilot. After that, everything was separate. AVC: In season two, you had a story about adolescent comedians, and you filmed the narrator, Jonathan Goldstein, in a radio studio. Why did you decide to shoot it like that? IR: That was another experiment too. Truthfully one of the things that we came through season one feeling was that we weren't using our great essayists. Like there was nothing by David Sedaris, or Sarah Vowell, or Jonathan, or David Rakoff. We have people who are really great writers and essayists who we put on the air, and we hadn't figured out a way to use any of them, and so we thought that this would be something to try. That's why we did it that way. We have him actually sit in front of a radio microphone. He's on the radio in Canada, and so it seemed like a natural thing. He's the person who performs and goes in front of the microphone, so it seemed like it could work that way too. It was just an experiment in doing that. AVC: What's going on for season three? Do you have any updates? Have you started production? IG: We haven't started production, and truthfully, we're still talking to the network about "Should do a bunch of episodes, or should we just do like one special, where we would just go to one place and make it a longer thing, which would be easier for us to produce?" That's still kind of up in the air. AVC: Regarding the physical transition from radio to TV, I read that you gave yourself a makeover before the television series began. IR: I didn't have to, but I chose to, yeah. AVC: Has that been hard to maintain? IG: It's been hard to maintain at the level I want like to maintain, yes. Like, since we stopped shooting TV, I've gained 10 pounds, and now I'm in the process of taking it off again… Can I just say that I feel season two is so much better than season one? AVC: Sure. I agree with you. It felt more like television. IG: It was television. I feel like we learned how to make television during season one. I just wanna say, whoever might be reading, please take a look at some of the episodes. When we were doing season one, we were all really happy with it, but by the time we got to the end of the first season, we were much, much looser. I mean, there's something from the last episode where [producer] Alex Blumberg and the crew went up to a pig farm, where there's just a looseness to the story that's unlike anything earlier in the season. I feel like we started season two with that feeling of confidence. AVC: It feels like you hit your stride more. IG: One of the biggest things is that we just got way better at choosing stories to put on the show. Which also was sort of our curse, because now that we know "Well, this makes a good TV story," it's a lot harder to find stories. For us, the drama of season two was, we just had a really hard time finding enough stories that we loved, that we thought would work as TV in the way that we knew we wanted them to work. But we're also still in this very strange situation where overwhelmingly, the people who know us from the radio have never seen us on TV. Chances are, anybody who's reading this who has heard us on the radio has never seen us on television. We know that from audience data—there just hasn't been a lot of crossover between the public-radio audience and the Showtime audience. There's a certain small number of people who signed up for Showtime to watch us, but overwhelmingly, the public-radio audience just is not into that. AVC: What about DVD? Have you been able to track how many people have gotten it on Netflix? IG: We have been able to track that, and because our first season was only sold at Borders, and just recently became available elsewhere on the Internet—you couldn't buy our first season on DVD on the Internet until a couple months ago—DVD sales have been less than spectacular. There's still a million and a half people who know us from the radio and listen to us every week who have never ever seen us. And it's an odd thing for us, 'cause we've made this show that we actually think that audience would really like, especially the second season. But also the first season. And we don't know how to, like, wave our arms around and say, "Hey! Hey! Hey! Remember we were talking about this on the radio? Rent the DVD!" It's an odd sort of sell. AVC: It seems like some listeners are saying "I don't watch television." IG: I have been shocked at the number of people who don't watch television. AVC: I hate when people say that in a superior way. IG: I do too! Not just 'cause I'm on TV. I've actually done events at radio stations where I feel like I've had to give a little talk in behalf of television as a medium. I wanna say to them, "I'm somebody who didn't own a television for 15 years. I didn't watch TV from the time I was 18 'til my mid-30s. And then I got a TV to watch The Sopranos." I realized, "Oh, TV is really interesting." TV has never been better. Someday, we're gonna look back on this period as this golden age of experimentation, where the networks started dying, and the cable channels started proliferating, and there are so many channels that to get our attention, programmers had to try everything, including quality. AVC: What do you watch? IG: Right now, we're working through season four of The Wire, we're working through season two of Friday Night Lights, which is sadly nowhere as good as season one. And then in what's on now, Mad Men is my favorite show lately, and I thought season two was better than season one. But truthfully, I don't have a lot of shows now that I'm super-loving and looking forward to in the super-fan way. I feel really strongly about 30 Rock: I really think it's great and totally original and fun, and The Office, I really love. But my wife and I were huge O.C. fans, and when The O.C. went away… I just cannot join in the Gossip Girl club. And Chuck, the other show from the same creator [Josh Schwartz], I feel like it's just not talking to me personally. What else now? Daily Show, Colbert, Dexter, Rachel Maddow, I'm a pretty loyal viewer of all those. I just started watching, 'cause my wife is like a super-fan, Intervention. AVC: I like it best when I hate the people who are on it, which is terrible. IG: I feel more comfortable when it's possible to empathize with the characters. I get really weird feelings when it's like a spectacle. But did you see the one about the woman with the eating disorder where she's taking all of her food through the tube? AVC: Yes. That was disgusting. IG: It was disgusting, but oh my God! That was one of the most amazing stories I've ever seen. AVC: Speaking of TV, in May you did that huge satellite show. IG: We're gonna do that again, actually. The main difference between the last one and the one we're about to do is that we thought we would actually do the radio show live onstage, basically, for the next one. That is, sometimes we take the radio show itself out on tour, and we get some of our regular contributors to come with us, and they read essays, and they do stuff, and then we'll always have some visual something, you know. We do it with Chris Ware, or somebody else. We do something that you can look at, in addition to just people standing on a stage. We'll have a band—we toured a couple times with OK Go, and once with They Might Be Giants, and then the last time with Mates Of State. We did a one-off with Jonathan Richman, which is very exciting for me, 'cause I was a super-fan. So it'll be that. It'll be our radio show done onstage, which'll be nice, 'cause usually when we do it, we can only tour to a couple cities. So it'll be nice to have people who know the radio show all over the country see us do it, Prairie Home Companion-style. AVC: For the radio show, you've done a few "hard news" pieces, like about the mortgage crisis. Do you have more of those scheduled? IG: Yes. We have many more of those scheduled. I feel like that's actually the most popular stuff we did on the radio this year, like the stuff where we collaborated with NPR News and Alex Blumberg and Adam Davidson, where they basically explained what the hell happened in the mortgage crisis. That got a bigger reaction than anything I think we've ever put on the air. We've heard from government officials that they've passed it around their offices so that everybody understands what exactly happened in the mortgage crisis. I feel like I was just there as kind of an observer and editor, so I feel like I can't claim credit for this personally. What they did is, they got the people who were making really terrible loans, the loans that brought down the economy, to explain what the hell they were thinking. Why did this happen? Part of what was smart about it was the way they framed it. They sort of stepped back from the whole thing to say "Well, the first thing you have to understand is that the amount of money in the world that was being invested grew in a really huge way between the years 2000 and 2006." But there was all this money looking for investments, and at some point mortgages came to seem like a really good investment, so investors all over the world were just like, "Well, get me more mortgages to invest in," so they started giving away worse and worse mortgages, just to have something for these investors, and that sort of was the seeds of the whole problem. AVC: What topics will you cover in the future? IG: At one point, we just got interested in explaining "What the hell just happened?" when Lehman [Brothers Holdings] failed and the other ones failed. We did a second full hour just about that. Then we're going to be tracking what's happening with the economic stimulus package, and then we're probably going to do something that we're calling right now just "scenes from a recession." But even in our inaugural show, which we're doing the weekend before Barack Obama is inaugurated, we have a big economic component. I feel like we've really geared up on the whole economic side, and I hope we have two or three hours of stuff in the coming half-year which is just looking at that. I feel like there's a lot to do to translate to normal human terms. AVC: Speaking of the inauguration, did you miss being in Chicago during the election, when it was suddenly the center of the world? IG: I did, but now Barack Obama moved to D.C., so it's no longer the center of everything. But I really did. That was regrettable. AVC: Until you start working on season three, are you just working on the radio show and the stage shows, or are you working on any other projects? IG: I actually have a number of films in development right now. All of them are based on things that have been on the radio show. One we're doing with Josh Marston, who did the film Maria Full Of Grace. One of them is with the two guys who wrote The Life And Death Of Peter Sellers and the Narnia films, who just showed us the first draft of the script that's a spy-thriller romance based on a story from our show. That's spectacularly good. There's another few in the works. We sort of backed into the movie business as a way to fund the radio show, that is by selling radio stories, we thought it would make the fundraising burden a little less for us. Then once we got into it, we got first with Warner Brothers, and then with DreamWorks, and it just became kind of interesting. We thought, "Well, let's make a movie that we would like." Then we started setting these things up. We'll see if any of them ever gets made. I hope. AVC: You had 2006's Unaccompanied Minors, which was based on one of the radio shows. Was that similar to these other projects? IG: No, in that we really left that to people who knew how to make a kids' film. I felt no feeling of expertise at all with that. We would read scripts and give notes and stuff, but that's about all we did. Whereas with these, we've been way more active in finding screenwriters and directors, and really thinking about what should this be, and how should it be made? And that's been really interesting to learn. I have to say, 10 years ago, I think I had a lot of prejudices about people who work in television and people who work in film, and the more television and film we do, and the more people I meet, the more those people feel exactly like my colleagues. I've been continuously surprised at how smart and wonderful people have been.